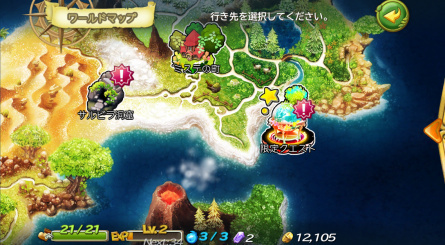 Launched just a few hours ago in Japan on iOS (due on Android later in the year), Rise of Mana is the most recent title in Square's long running RPG series, perhaps most fondly remembered by Western gamers for the first SNES entry Secret of Mana. In keeping with some of the more iconic Mana games, Rise of Mana is an action RPG and your unwittingly fused angel/demon character fends off Rabites and Mushbooms with the familiar mix of bows, sword, spears and other offensive cutlery. The game is a free to play title, but one that's clearly had some real love and care poured into it. The plot is engaging and told through numerous lush 3D cutscenes rather than cheap recycled still images and the soundtrack (released next month) has been composed by Mana regulars and game music legends Hiroki Kikuta, Yoko Shimomura, Kenji Ito and Tsuyoshi Sekito. While the fear of hitting an invisible paywall is always looming in any free to play game, so far there appears to be nothing for sale in the cash shop that players can't also earn in-game. 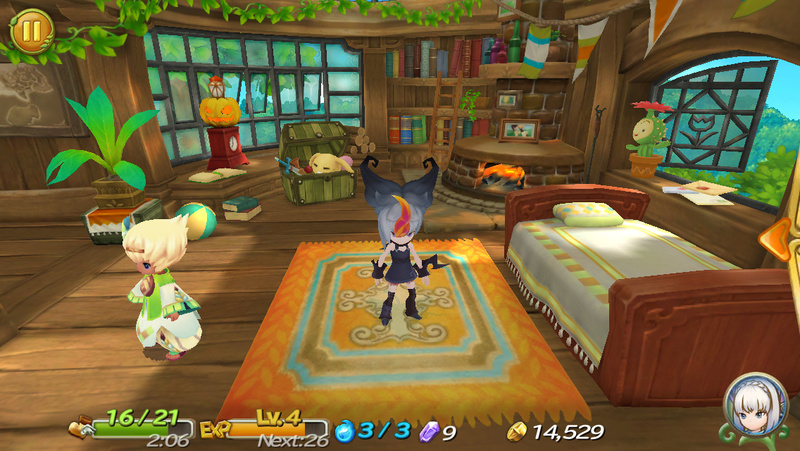 Free to play titles may be often looked down on but a quality title, as Rise of Mana appears to be, can bring in a financial reward for the company as well as give fans of less mainstream series a fun game to play that may have otherwise not have existed. 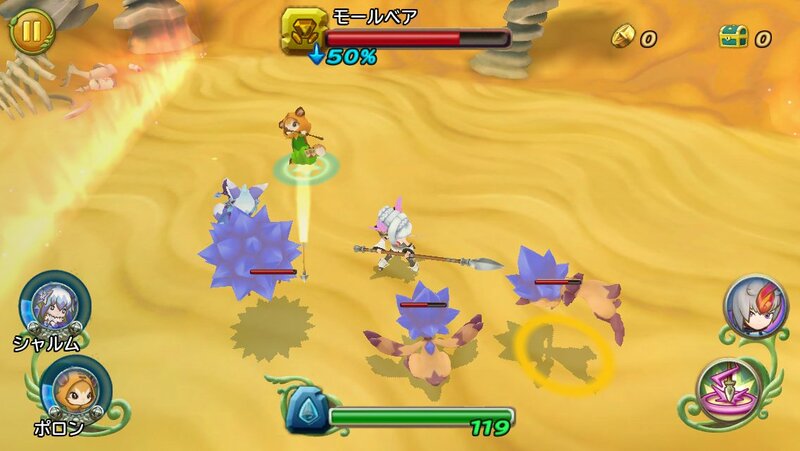 Rise of Mana may be tuned for mobile play but with a little tweaking there's no reason this couldn't also become an excellent 3DS game too, much like Puzzle and Dragons Z has before it. 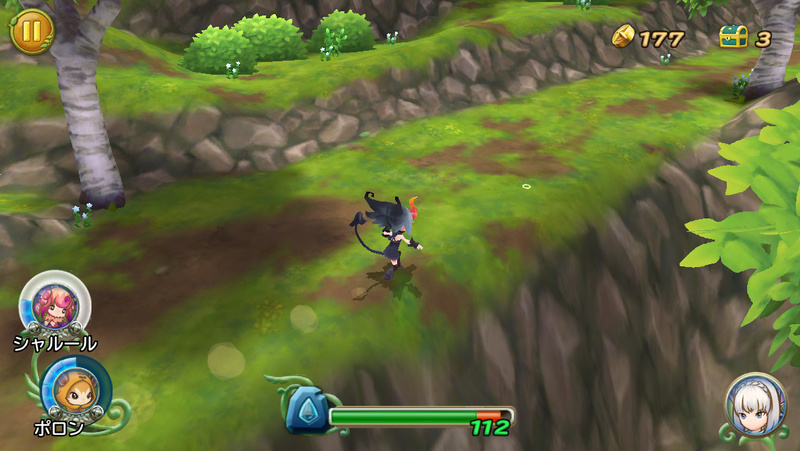 The graphics have 3DS port written all over them. 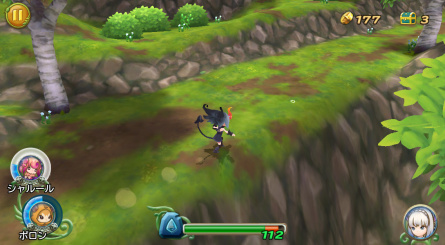 I'm not really to keen on a 3D Mana game, but oh well, drop it on 3DS and Iwill surely grab it. Square Enix is awful these days when it comes to balancing stuff properly. The best we could possibly hope for is translations / ports of stuff from when they were good. (Those SaGa games on the DS / Seiken Densetsu 3 / Dragon Quest VII). Bravely Default is bad enough. Their free to play stuff includes Final Fantasy All the Bravest. Even the After Years on the Wii had the same problems. I prefer Secret of Mana to A Link to the Past or A Link Between Worlds but I think the probability of something worthwhile is zero from current Square Enix. Free or Paid (Paid still adds pay to win even). After the last couple of entrys in the mana series, i kinda lost hope that this franchise might bloom again in the future. There is no real concept behind the whole series. While its not bad to change around the gameplay style etc, the series has kinda lost its identity over the time. Even the art direction is all over the place. If you ask me, going the "Sin & Punishment" road od just translating Seiken Densetsu 3 and putting it on the WiiU VC (along with SoM) would be more preferable than an iOS game port. The SNES original still looks better imo. I really don't see the point of making a news story about a game like this or Batman when it's not on a Nintendo condole, even if previous games has been there. @WaveBoy And never forget this one as well. Amazing sprite art. If it is indeed a solid title, I would probably buy this if it came to 3DS, but can't say I'm thrilled that SE chose to develop it for iOS first. Guess that's spilled milk though. IOS?!??!? You gotta be kidding me....Is this what the world has come to? Square can keep it. I'm not buying iOS shovelware. Hm... Looks pretty decent. The gameplay looks similar to the original, but now with more than one attack, which is always a plus. As long as you can't just wreck everything in sight with the new moves, all should be well there. The music, while not quite as catchy as the original or seiken densetsu 3, definitely feels like it belongs in a Mana game. Definitely looking forward to that! One fatal flaw... CURSE YOU IOS! 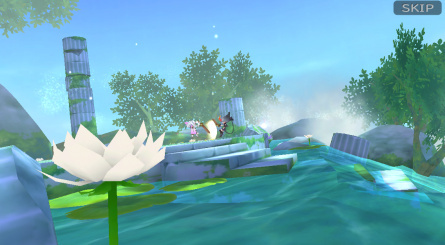 This game looks like it would be absolutely PERFECT for the 3DS or even the PS Vita! But no. Square Enix refuses to put actual games on dedicated gaming platforms anymore. I'm beginning to worry that they don't care about the consumer at all anymore. Truth be told, Secret of Mana is my least favorite Square JRPG for the SNES. Still, it was a Square JRPG for the SNES, and as such automatically awesome. I'd definitely get it for my 3DS or Wii U, but I gotta admit "free to play" makes me nervous. Yeah, how dare they not cater to the consumer when the majority of consumers are now mobile users (especially in Japan). Ios revenue alone is double that every dedicated handheld device put together. Googleplay alone is also higher. And you're suprised that the majority of games now come out on the dominant platform? 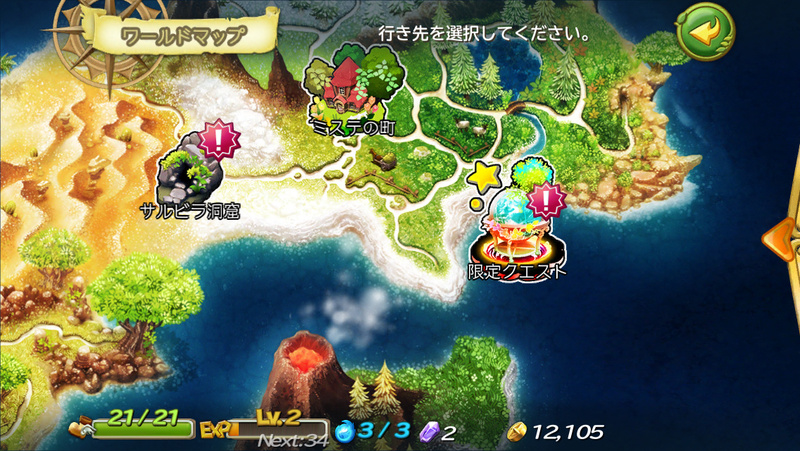 We didn't get Seiken Densetsu 3 (SF/SNES), we didn't get Circle of Mana (iOS), and I doubt we'll get this one. The only one I really want is Seiken Densetsu 3. I wish it would get a western translated release on Wii/Wii U VC with 2player intact. I never said that putting the game on IOS services was a bad business move. In terms of profit, yes they probably will get more money for it. That isn't the problem. The problem is that IOS devices are 100% touch screen based. There is a reason why simple games such as Angry Birds get so popular on the app stores: minimal input. Touch screens that require finger presses (As opposed to a stylus) will always be slightly imprecise and clunky, due to the size of a human finger. To that end, controlling an entire full fledged action RPG with just your fingers is a terrible control scheme. A game like this is FAR more suited to a console WITH ACTUAL BUTTONS. That's what I mean when I say that Square Enix does not care about the consumer anymore. They are solely looking for a profit. Before you leap to conclusions assume I'm even more of an idiot than you already have, I will repeat, from a business perspective, that makes sense. But the people who actually care about the series, and actually have a love for video games, will actually want to play a game such as this on a device with buttons. If Squeenix cared at all about the people who have made them who they are, they would put this on other consoles. Every time the Mana series releases a new entry I get my hopes up. Not this time man. No way man, no way. I don't understand Square Enix anymore. I have seen the games they have on iOS the remakes are totally overpriced. I did buy the complete Dimensions game that came out because I saw it as something new from them. It is hard to control though (I need a D-Pad to move). They have re-released Final Fantasy V and VI with graphics that are like the ones for the III and IV ports that were on the DS. Those DS versions are also on the App Store. "The plot is engaging and told through numerous lush 3D cutscenes rather than cheap recycled still images"
...I'm not sure if this is an attack on previous Mana games or not, lol. 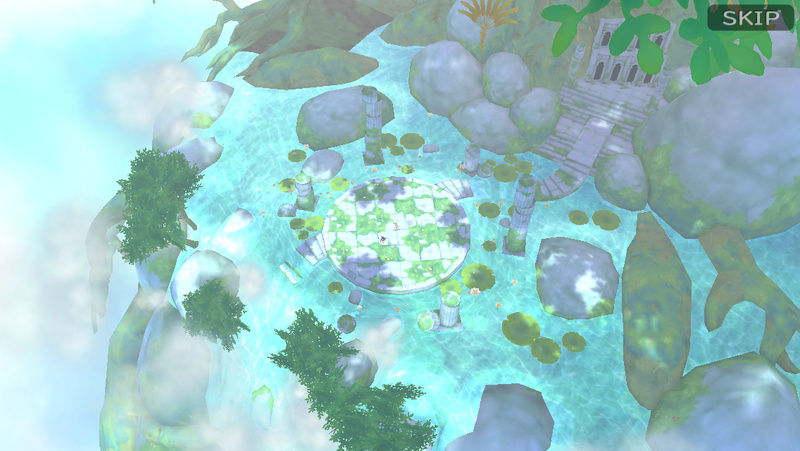 Legend of Mana is in my top 3 PS games and its still backgrounds, the ART, is what makes that game so gorgeous. Much, MUCH better looking than this game. It saddens me that they're taking this series to mobile when it deserves to put on an actual console and sold as a retail game. ..Oh well. The game still looks OKAY.. better than I expected. I'd probably try it if it came to the 3DS. I doubt it would be free if it did though, they'd obviously have to change how the game works as far as payment/items goes. 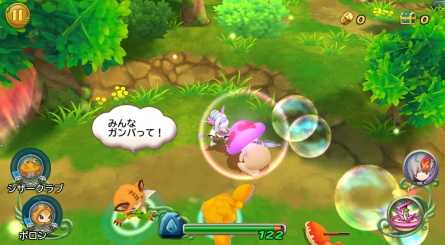 It will probably be a flop anyway, especially if they're anything like all the previous post-Legend of Mana games. And its proven time and time again that people simply don't care. You can froth and rage about "muh buttons" and how they're doing it wrong but the majority of people are fine with touch screen controls. Yes there are horrendous touch screen controls, but its not the case for this game having personally played it. 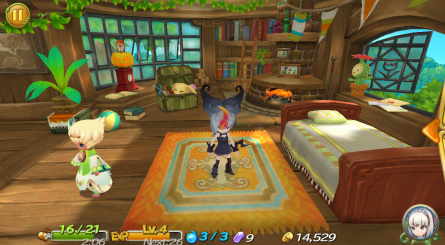 That aside, Rise of Mana does have controller support, so your complain is moot anyway. I use the touch screen on the move, and use my controller at home - win win. @Spuratis I wouldn't dream of attacking Legend of Mana! It was actually a dig at all those iOS games that want to pretend they're "real" big-budget games but cut corners at every opportunity and use three generic character portraits slapped over a few unimpressive backgrounds throughout the entire game. @andjahiam: Some of us like @Waveboy actually prefer sprites to polygons. I will download this when it comes to Android in the USA. Love the Mana games. I'm personally sick of seeing so many top-down 3D ARPGs (mostly Western-developed or just Diablo clones in general) in Android... But this is a MANA game, so I'd love to play it. 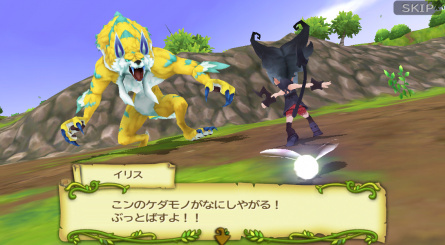 Even if not ported to 3DS, I hope it gets localized...and gets HID controller support. If not...well, there's always The Bard's Tale. Yes! My favorite francise. Psvita! I've yet to touch the Mana series. One day I will play some of the games. It's on my to-do list. I've been playing the Mana games since Final Fantasy Adventure for gameboy. Favorite action adventure RPG series ever, I WANT this!! It's a modern Mana game so I don't hold much hope for it. Legend of Mana is the end all tell all mana game, despite its ignorant nostalgia driven reviews of its release. Its probably one of the best games ever made, end of story. The need to be like the "Snes classic" is what ruined all the Mana sequels after Legend of Mana. They should abandon the Zelda like mechanics and return to the side-scrolling ones. Square has really embraced the Tablets/iOS/Android. I have a tablet myself but playing games on it just feels uncomfortable. I hope this will come to 3ds. The trailer looks great though. @Retrogamer88 From what news I've heard of this game it is built around multiplayer because it is an MMO. Although I haven't had the chance to watch this release trailer yet to confirm it for myself so that news from a day or so ago might be out dated and inaccurate. This is one of those game you play once and then later forget that it ever existed. The Mana series used to be awesome, ever since Square Enix made that god-awful Dawn of Mana game, they had been burying the series into the ground. Children of Mana was poor, Heroes of Mana was meh, and only the remake is decent and even that lost a certain charm unlike the original. Make a true sequel to Seiken Densetsu 3 (yes lets pretend Dawn of Mana never existed) and released it for Wii U and/or 3DS. Enough of iOS stuff Square Enix, go back to making real games for real consoles please. Haven't yet played any of the Mana series, though I'd be willing to give this a shot. @Kimimi Haha, alright. Glad you cleared that up for me.. I knew it wasn't possible for someone to dislike the backgrounds in that game.